We usually talk about Cool Brews here (and sometimes horse racing, LOL), but New Orleans Coffee Company contacted me a few weeks ago about a cool product they brew. 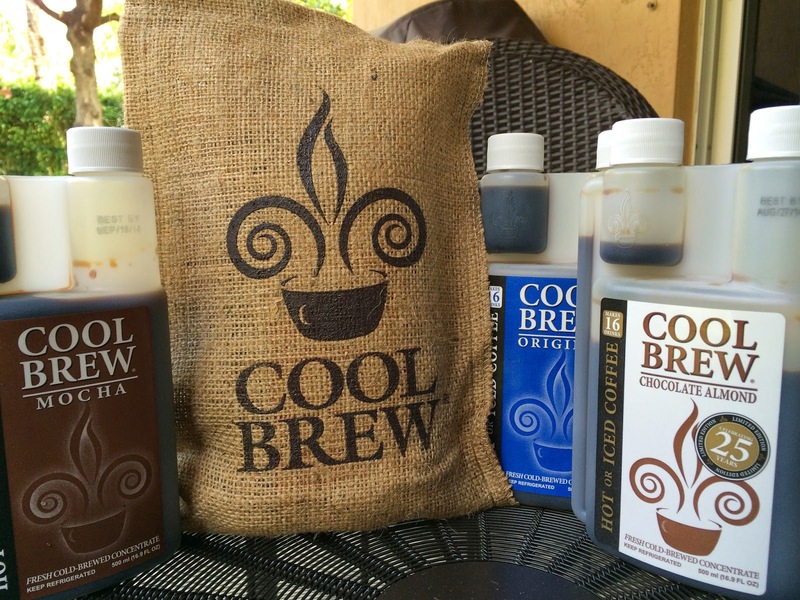 That would be their CoolBrew line of cold-brewed coffees, which is celebrating 25 years on the market! They are marking the occasion by reintroducing their original Chocolate Almond flavored coffee to the market for 2014. Naturally, of the four varieties they sent me, that's the one I opened first. CoolBrew is brewed using cold water, which eliminates the acidity often found in coffees brewed with hot water. This process has been around for a long time, though it was never done on a large commercial scale before NOCC started in 1989. Today, CoolBrew is available in eight varieties and in two sizes. It is sold as a refrigerated concentrate with a unique bottle that includes a portioning cup which allows easy one-mug measurements. All you do is mix that portion with hot or cold water and add sweetener as usual. The company is very much involved with its community, both donating products for events and working with other businesses as partners in new products. 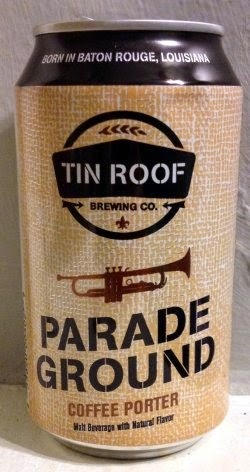 One that initially caught my eye was a beer collaboration they did with Tin Roof Brewing. CoolBrew French Roast and Mocha were used in their Parade Ground Coffee Porter--I think they are still trying to track down a can of that for me! Fingers crossed! So I mentioned trying the Chocolate Almond. I tried it hot and iced. I must say that the flavors were really pronounced and the texture was exceptionally creamy. All that for 4 calories? Damn! And the convenience of the packaging was very welcome as well. They have two sized containers that offer either 16 or 32 servings each. Might be time to throw away the old drip machine! Anyway, check out this product. It's innovative and the flavor is terrific. Happy to hear CoolBrew has a new fan!